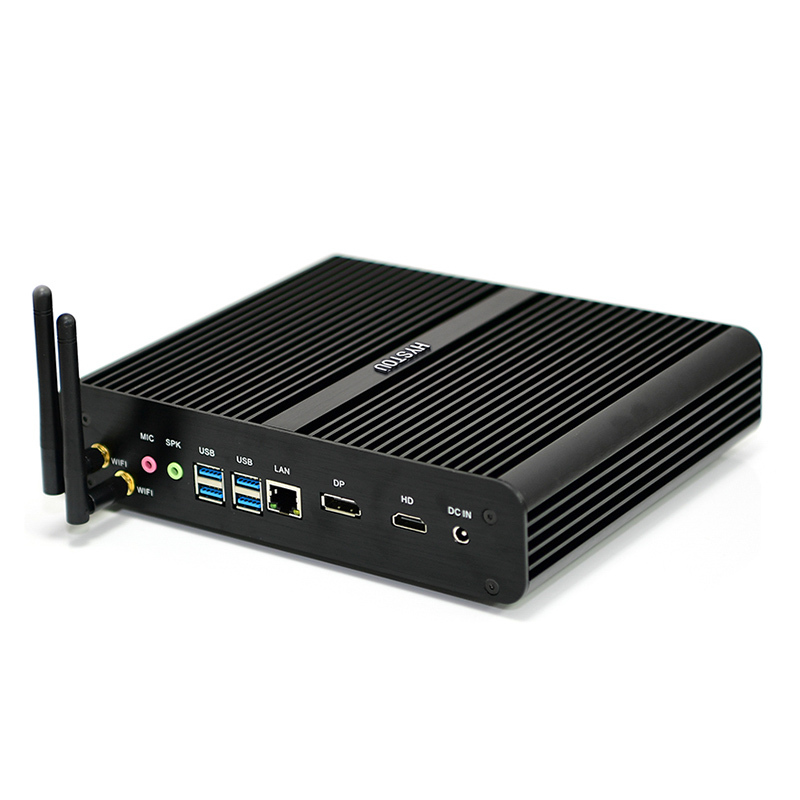 Successfully Added Hystou FMP05B Fanless Mini PC - Intel I7-6600U CPU, 16GB RAM, 4K Media Support, Licensed Windows 10 OS, Dual WiFi Antennas to your Shopping Cart. If it has always been your dream to have a compact mini PC that can be carried around anywhere you go, the Hystou FMP05B is perfect for you! This Windows 10 mini PC features a highly compact and lightweight design. It can be easily attached to any type of display and instantly turn it into your own personal computer. Thanks to this, you’ll be able to always have your files and entertainment at hand no matter where you go. The mini PC runs on a licensed version of Windows 10. This means that you’ll always be able to undergo a smooth and lag free user experience no matter where you are. Packed within its small body lies a whopping Intel I7-6600U Dual-Core processor that has been clocked at 2.6GHz. This CPU is able to reach turbo speeds at a stunning 3.4GHz thanks to which it’s able to run the latest and most demanding software with great ease. You’ll furthermore be treated to 16GB or DDR3 RAM to further increase your overall user experience. This powerful mini PC is capable of handling anything you throw at it. Whether it’s games, movies, or work - nothing will slow this beauty down. With 256GB ROM and 1TB external memory support, you won’t have to worry anytime soon about running out of space to store your files. The Hystou FMP05BFanless mini PC is a great gadget for gamers and entertainment lovers. With its Intel HD graphics unit, it is able to handle the latest 4K media. This means that you can enjoy your favorite films and series in stunning Ultra-HD resolution. With its two WiFi antennas, this latest mini PC treats you to a memorizing internet speeds at any time. Whether you use it for school, work, or entertainment - the Hystou FMP05BFanless mini PC is sure to meet your demand. This mini PC comes with a 12 months warranty, brought to you by the leader in electronic devices as well as wholesale mini computers..